Trip prices are for up to 4 people, mate gratuity 20% not included. 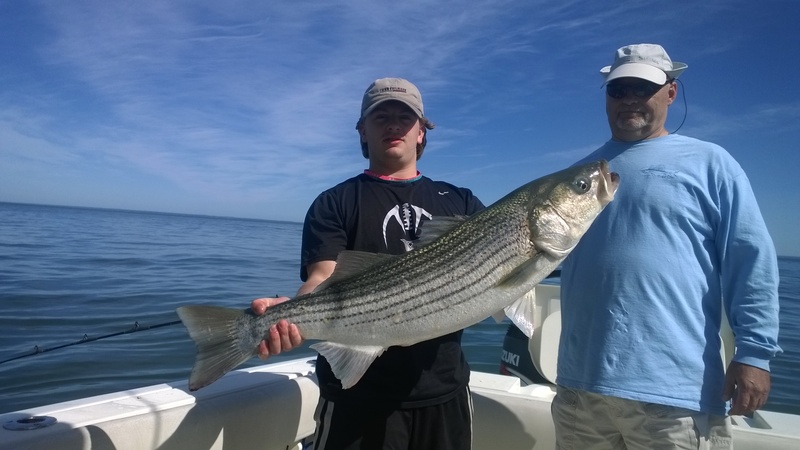 Half day fishing charter trips in Long Island Sound consists of 5 hours of fishing for the targeted species. 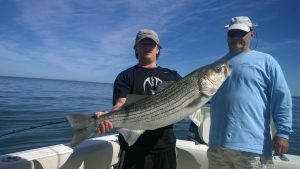 You can choose to target gamefish- Stripers, Bluefish and False Albacore, or bottom fish- Fluke, Sea Bass, Scup, or Blackfish. 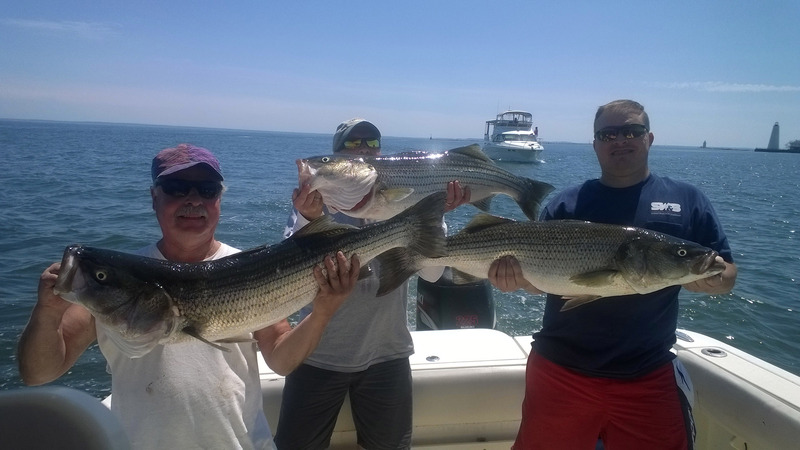 The most popular trip is drift fishing using live bunker to catch large Stripers and Bluefish. This method allows you to hook, fight, and land the fish one on one with lighter tackle. Trolling with heavy equipment and fighting the water and the boat is not my preferred method of fishing. If bait is not available we will use traditional drift methods with buck tails and diamond jigs. We also can employ casting with top water and soft plastics for exciting light tackle action. If you want to bring home the best tasting fish the sound has to offer you can choose to spend the entire trip targeting bottom fish. The delicious Sea Bass fishing has been outstanding the last few years with limits being caught on a regular basis. Summer Flounder (Fluke) are plentiful and surprisingly hard fighting. Scup (Porgies) and Blackfish (Fall season) are so plentiful it is usually non-stop action with bites occurring as soon as the bait hits the bottom! This type of fishing is relaxing, action packed, and fun for the whole family. The 7 hour full day trip can be tailored to your desire as well. 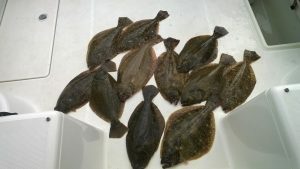 The most popular is the Striped Bass/Fluke or Seabass combo that gives you the best opportunity to fill the cooler with a variety of fresh fillets. You decide when you have had your fill of one then we will take you to catch the other. You can choose to target one species the entire trip in order to maximize your catch, or choose to employ a variety of the different techniques that we offer. Live bait, drifting artificial lures, casting, bottom fishing, and even trolling, the Kingfisher offers every type of technique that can be used. You make the decisions on how you want to catch. 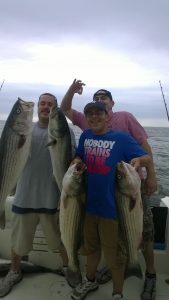 The Captain will gladly help you decide what is best for you and your crew based on the latest fishing conditions. A professionally trained mate will assist your group to ensure that you have the most productive, safe, and enjoyable experience possible. Services will include baiting and rigging, landing, filleting and bagging your fish, as well as personal tips and instructions on how to maximize your catch. All you have to do is reel em in!